The leading yachts at the 2015 Rolex Fastnet Race have reached the halfway point of the 603-nm race and the front-running multihulls has rounded the race’s emblematic turning point - the Fastnet rock. 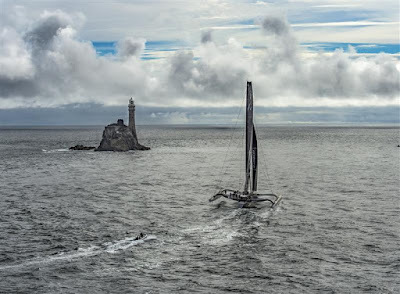 At 17:00 CEST the Dona Bertarelli and Yann Guichard-skippered Spindrift 2 leads the fleet having opened up a 17-nm advantage over her nearest rival on the water, Phaedo 3. 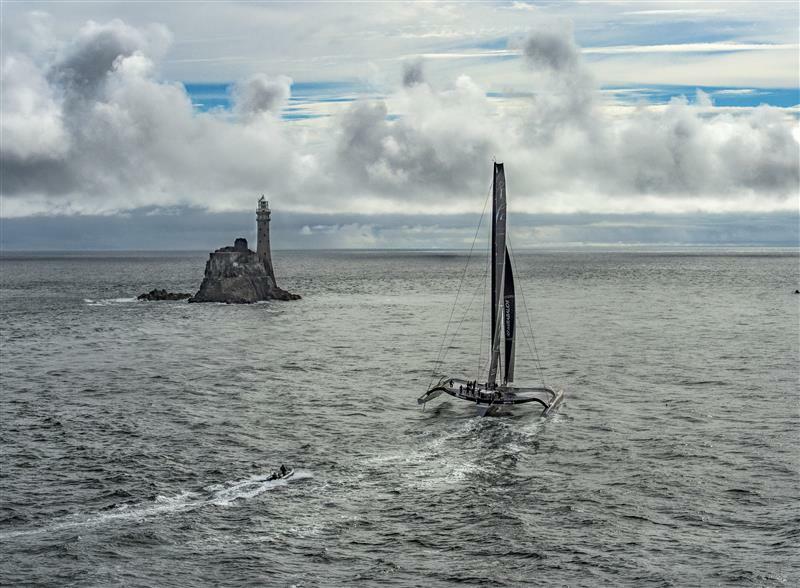 Spindrift 2, travelling at around 24 knots, rounded the Fastnet rock with gusto at 16:49 BST. 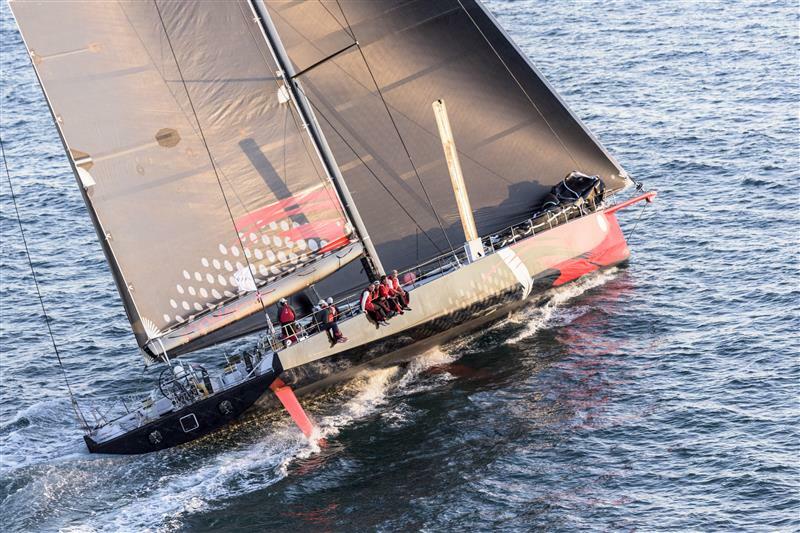 The likelihood is the 130-ft trimaran will continue its recent dominance of multihull line honours at the Rolex Fastnet. 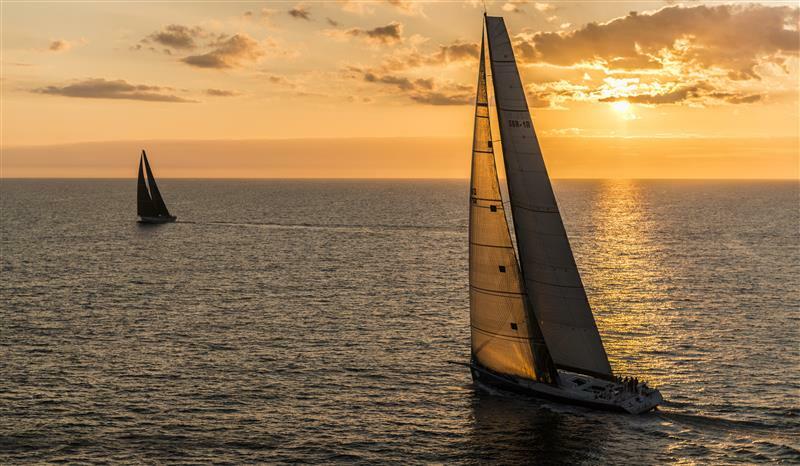 Spindrift has 250-nm to run to the finish in Plymouth and may finish late tomorrow morning. Following a slow start yesterday lunchtime from Cowes, the leading monohulls are also making good progress. The tussle between American Maxis Rambler and Comanche is proving intriguing. As Spindrift rounded the Fastnet rock, 88-ft Rambler was some 3-nm ahead of the 100-ft Comanche and 100-nm from rounding the rock. 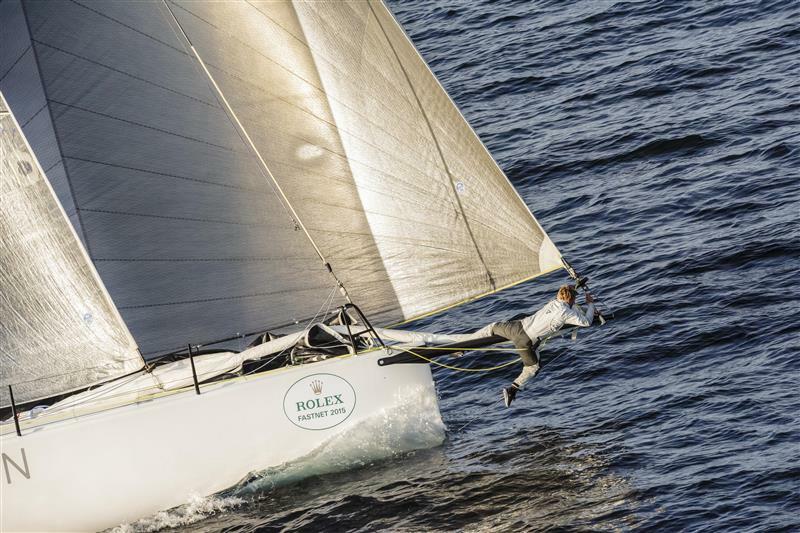 The heavier Leopard – two-time line honours winner – is some 25-nm further behind. Performing impressively is the newly-launched Maxi 72 MOMO (CAY) keeping up pace with Mike Slade’s British Maxi having passed the Isles of Scilly and begun their charge to the Fastnet. 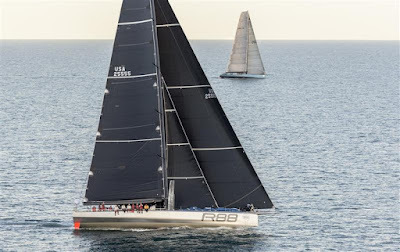 Although the leading boats have gathered speed, the monohull race record set in 2011 by Abu Dhabi of 1 day, 18 hours and 39 minutes will not be threatened. 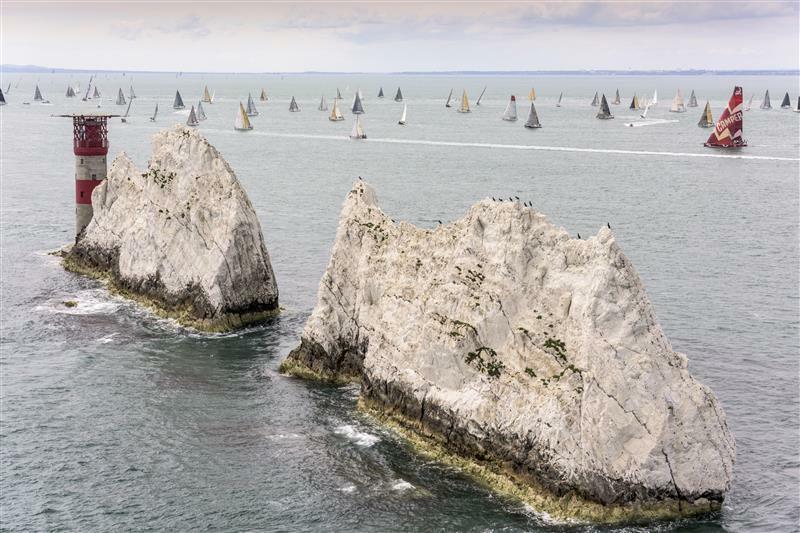 The bulk of the record-breaking 356-strong international fleet are currently passing Plymouth having negotiated just over 130-nm of the race. Since yesterday’s start the vast majority of boats has endured a frustrating first 24 hours of moving slowly or gently parking and floating, conditions are expected to improve in the coming days allowing them to stay in contention for overall victory on IRC handicap. One of the pre-race favourites which will sadly not trouble this year’s leaderboard is Bryon Ehrhart’s 63-ft Lucky which went aground on exiting the Solent yesterday. A simple reminder that the course has plenty of traps for the unwary.